Medium shot of woman sweeping sidewalk in front of store - Stock Footage, Inc. Tags: architecture, asenovtsi, bicycle, blue, broom, brunette, building, bulgaria, care, city, city life, cleaning, color image, day, doorway, footage, front, front-view, full length, holding, horizontal, leaning, lockdown, looking down, mature adult, mature women, medium shot, motion, one person, outdoors, owner, People, pride, proud, real time, retail, shop, shopping, short hair, side view, sidewalk, small business, standing, store, storefront, streamer, sweeping, travel, travel destinations, urban, video, wall, woman. Therapist working on woman’s foot and ankle. 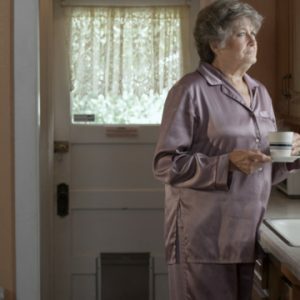 Woman drinking hot beverage in pajamas.